Milan, 7th August 2018 – Italian energy aggregator Evolvere has allied with Mangrovia Blockchain Solutions in an unprecedented partnership between a leader in the distributed generation sector and a blockchain solutions provider. Managing over 10,000 proprietary electrical plants, Evolvere’s large network is significant: it will be the first time an aggregator has shook on a blockchain development plan, making e-Prosume the first project of its kind and proportions. Aimed at bringing blockchain technology into homes, the joint venture is set to revolutionise energy consumption on a whole new level. e-Prosume’s first plan of action, in fact, is to integrate Mangrovia’s distributed ledger tech solutions with EUGENIO, a gateway for smart home living that Evolvere recently launched on the market. Through an app on a device, EUGENIO allows homeowners to manage various aspects of their everyday lives: energy savings, safety, comfort and smart payments, in a wholesale upgrade of the definition of “smart living”. Once integrated and installed into homes, these would be some of the first 1000 smart home devices in the world that would form part of the nodes on an energy blockchain network. This paves the way for the bigger picture: a developed, sophisticated digital infrastructure capable of supporting a functional smart grid, upon which the future of the energy revolution hinges. End-clients, especially prosumers (consumers who also produce their own energy), will then be able to benefit from services enabled by the peer-to-peer exchange of electrical energy, including smart billing and smart payments. Through a customised cloud platform, the integration enables production and consumption data collection, progressing the liberalisation of the local energy market and developing the evolution of smart grids. From the real-time collection and analysis of such data, end-clients will also enjoy new services made possible by recent IoT and Big Data technologies. The possibilities don’t end there: e-Prosume will also offer Balance of System services to grid operators. The e-Prosume project is managed and owned in equal measure by Evolvere Ventures, a corporate venture firm belonging to Gruppo Evolvere, and Prosume, the blockchain-based energy exchange platform owned by Mangrovia Blockchain Solutions. The joint venture will be led by both companies’ board of directors, whose members count Franco Giampetruzzi and Flavio Di Terlizzi from Evolvere and Alfredo Giardina and Angelomario Moratti from Mangrovia. “We’re excited about joining forces with Mangrovia to develop possible applications of the blockchain in the energy sector. Together, we aim to perfect a service offering that responds to both our clients’ needs and the market’s growing trends. The competitive landscape owing to Italy’s ever-growing incorporation of European directives is fertile ground for burgeoning opportunities, especially for the companies who’ve demonstrated an Open Innovation approach to emerging technologies in order to identify and propose concrete, avant-garde solutions,” affirms Evolvere’s CEO, Franco Giampetruzzi. “Evolvere is the ideal partner for the development of the Italian energy market, both for their leadership status and the strong innovative spirit that sets them apart from the rest. Our union adds renewed stimulus to the projects that Mangrovia has had in the pipeline for a long time coming, confirming our belief and conviction of the endless possibilities that blockchain can bring to the industry, especially on an international level,” adds Alfredo Giardina, both CEO and founder of the software house. While it isn’t yet possible for Italian residents to conduct P2P energy exchange, it is only a matter of time before regulatory norms are updated to match those of countries more inclined to technological innovation (eg. Germany, Austria). Once that happens, the partnership between Mangrovia and Evolvere and resulting infrastructure will not just be ready for immediate deployment, but also include digital wallets that, enabled by blockchain technology, will bring the nation into a fully liberalised energy market powered by the digital revolution. Gruppo Evolvere is a leader in the Italian industry of distributed generation, owning and managing over 10,000 photovoltaic plants nationwide. Their innovative business model seeks to promote the development of an entire energy ecosystem that is both fully integrated and efficient. The company bolsters the forward-thinking approach of energy production and consumption through building a network of evolved prosumers, producers and consumers, furthering the autonomy and energy savings of community members through photovoltaic plants and avant-garde solutions centring on the concepts of the smart home and smart grid. In becoming Evolvere partners, customers access a choice of energy supply sources and partake in the economic advantages deriving from the appreciating value of renewable energy. 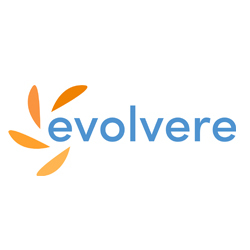 Evolvere forms part of the companies selected by the Italian Stock Exchange for its ELITE programme, and has also received the highly-coveted certification by BCorp distinguishing its status as an international company conscious of all three ESG themes (Environmental, Social, Governance). Mangrovia Blockchain Solutions is a software house specialising in applied cryptography technology. Apart from offering full-suite services spanning Consulting, Smart Contract development to Tokenization Models, the company is currently growing very specific blockchain business units from the ground up. These range between a variety of industries such as Energy, Fintech, Logistics, Supply Chain, Gaming and Art. Mangrovia is backed by a world-class, multidisciplinary team consisting of professionals combining expertise in distributed ledger technology models, interoperability between blockchain platforms, decentralized database platforms, data archiving solutions, cybersecurity and more. Other industries covered include Finance, Legal and Digital Marketing. Giardina, and Seven, a holding company owned by Angelomario Moratti.